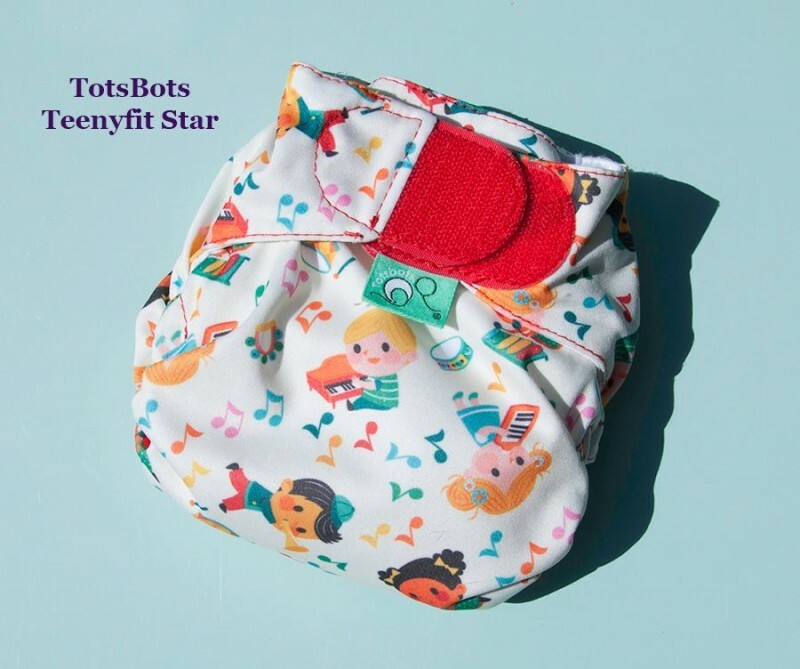 Help us keep the Cloth Diaper loan package going, as well as assisting us to print a booklet on cloth diapering for beginners which will be displayed in health clinics and delivery wards in Iceland! Cloth diapers are an eco friendly choice for parents and also a thrifty way to save money on diaper costs. However it can seem complicated to figure out where to start and which diapers suit since there are seemingly endless possibilities. We first began offering cloth diaper loan packages to interested parents in December 2016 for 10 days free of charge. The packages have been very popular and there is a waiting list to get them. The loan packages are overseen regularly to make sure the diapers are in good shape and have been washed thoroughly. Already several families have started cloth diapering after trying out the loan packages. We are now hoping to finance the printing of a booklet we have written called "Cloth Diapering for Beginners" so we can distribute copies of it to health clinics and delivery wards in Iceland. We already have an offer for the printing of 50 copies and now all we need is the funding to print! Creating and organising the loan packages is doneexclusively on a volunteer basis and as there is no charge to borrowthem, some of the money raised would also go into maintaining the cloth diapersin the packages and buying new ones where needed. A few stores like Bambus.is, Hönd í Hönd and Ólavía og Ólíver have donated diapers and accessories to the loan packages. We have also received second hand diapers from individuals and a few of the Icelandic women who sew and sell cloth diapers privately have also given products to the packages. Currently there are three packages available: one with diapers for newborns, and two with diapers for babies that are 5 kg and above. The loan packages contain everything needed for cloth diapering; different types of diapers, PUL-bags, different types of inserts, wipes and more. The packages also come with a manual to help beginners learn how to use the diapers. 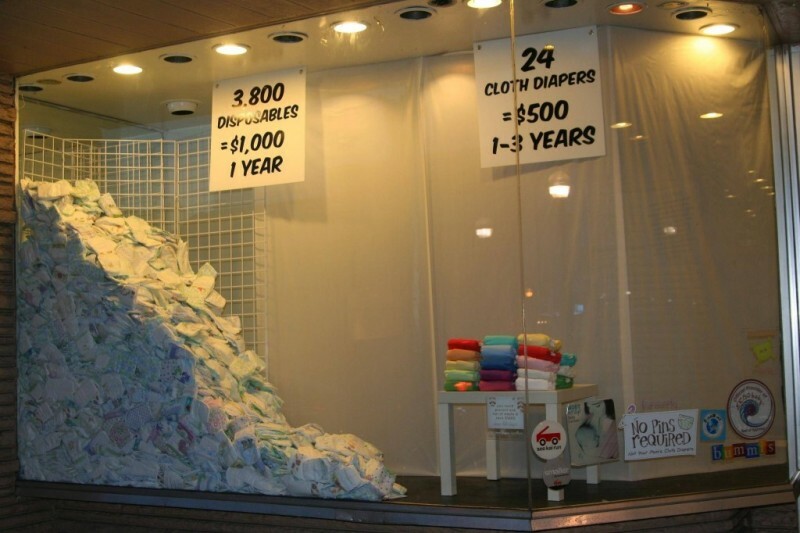 On average a baby will use 6000 diapers over the diapering period! 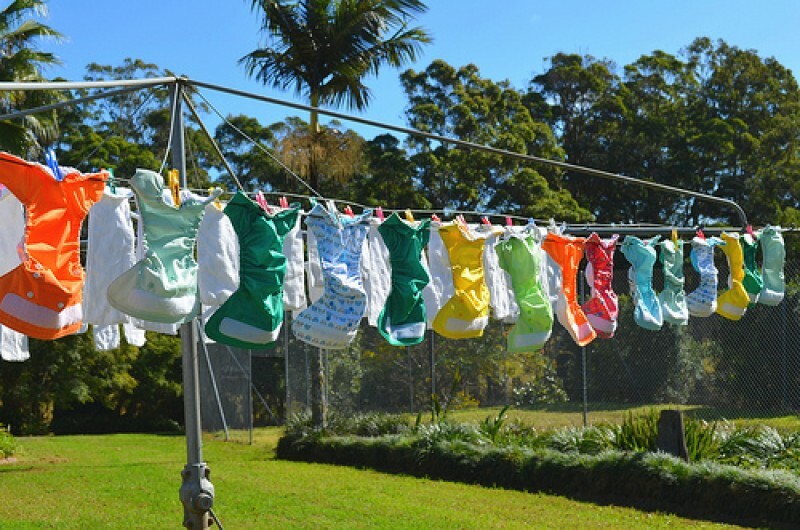 Cloth diapers are an eco friendly solution. On average a baby uses about 6.000 diapers during the diapering period (calculated mean). Each disposable diaper takes about 400 years to break down so that means that since disposable diapers hit the market, none have yet decomposed completely. Calculating the average number of diapers used times by the standard cost of a common brand used here in Iceland, the cost can easily reach over 180.000 ISK per baby. You then need add on that the cost of wipes. 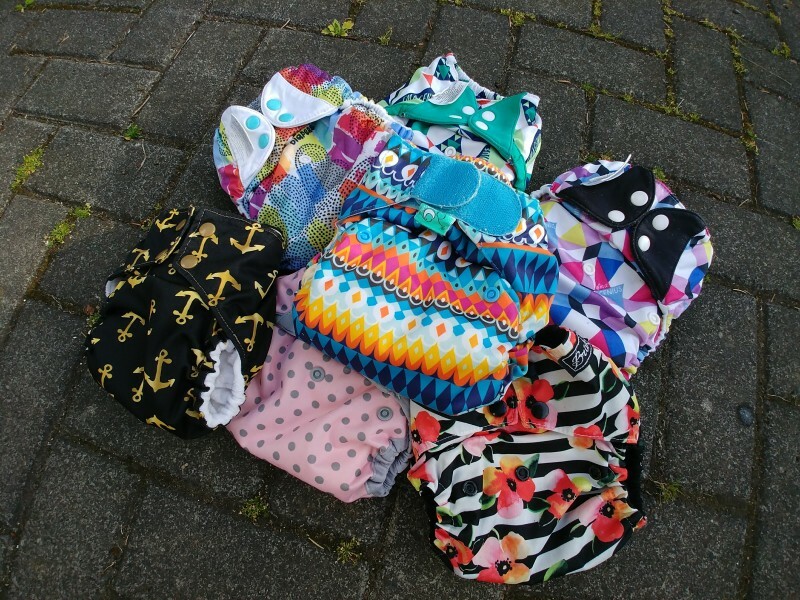 Cloth diapering is better for your wallet! If you use only cloth diapers you can go through the entire diapering period using only 20-30 diapers! You can then sell them, or donate, after your baby has stopped using them. If you buy all of your diapers new the cost can range from 30.000 - 120.000 ISK (cloth diapers vary in prices), and of course if you then sell them you get some of that cost back. You can also use cloth wipes that are then easily washed along with the diapers to save more. So it is obvious that cloth diapering isn't only good for Mother Nature, it is also good for your wallet! Some choose to combine and use both disposable and cloth diapers. Even using cloth diapers just 5 times a week saves you 260 disposable ones over one year. Parents who have tried both disposable and cloth diapers say that there are fewer incidents of rashes when using cloth diapers (if there is no allergy to the fabrics and your cleaning cycle is correct). The chance of yeast infections also reduces and there are fewer blowouts. There are even cloth diapers that can handle any heavy wetter when no disposable will hold.